Give Boring Car Seats the Elbow! POW! Are you and your children tired of boring car seats? Sick of grey, drab fabrics? Do you want to brighten up your back seat and entertain your children? Are you looking for a Stage 1-2-3 Car Seat for your little super hero? 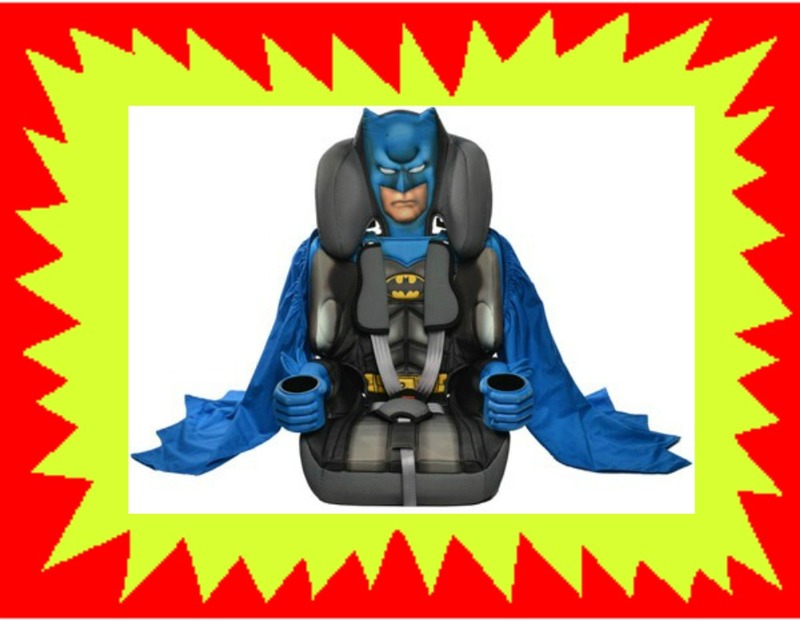 Kids Embrace have zoomed to the rescue with their super-duper Batman Car Seat! This 1-2-3 stage seat has an integral harness and high back booster to keep your child safe from the age of 9 months to 12 years. With side impact protection, and a height adjustable back rest you know that your child will be both comfortable and secure in the seat. The best bit, from your mini superhero's point of view is that there are two cup holders and a fantastic cape too! The Kids Embrace Batman Car Seat. Are your mini heroes super enough? The Kids Embrace Batman Car Seat is available from Halfords, Smyths Toys and Toys R Us. Disclaimer: This is my entry into a blog competition to win the car seat, I have received a small gift for taking part.